Fairly easy; quite good. I would definitely make it again. 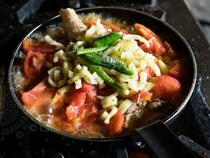 Pretty easy to make, good flavors but not really complex. Really needs the pomegranate seeds or it falls a bit flat. Keep the skin side of the thighs out of the liquid to keep the skin not flabby. This was absolutely delicious. The blackberry sauce was a tart and beautiful contrast to the fatty duck. I used Georgian fenugreek in the recipe (generally stronger than other fenugreeks) since it is mentioned in the beginning of the book, though not specified in this recipe. The cooking time for the duck (marinated overnight) worked well for us, although I seared the duck skin at a lower temperature to keep it burning and our duck came out medium rather than medium rare following a 10 minute simmer in the sauce. Experience the food, wine and beauty of the Caucasus in Carla Capalbo's gorgeous book. 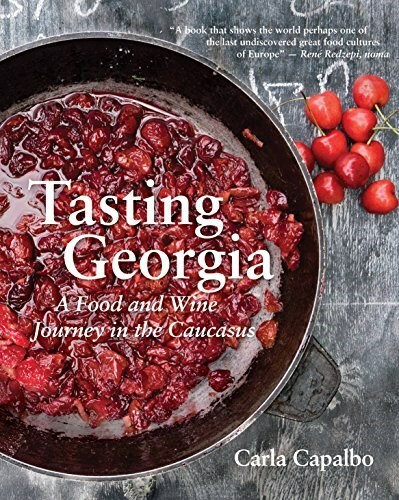 Nestled between the Caucasus Mountains and the Black Sea, and with a climate similar to the Mediterranean's, Georgia has colorful, delicious food. 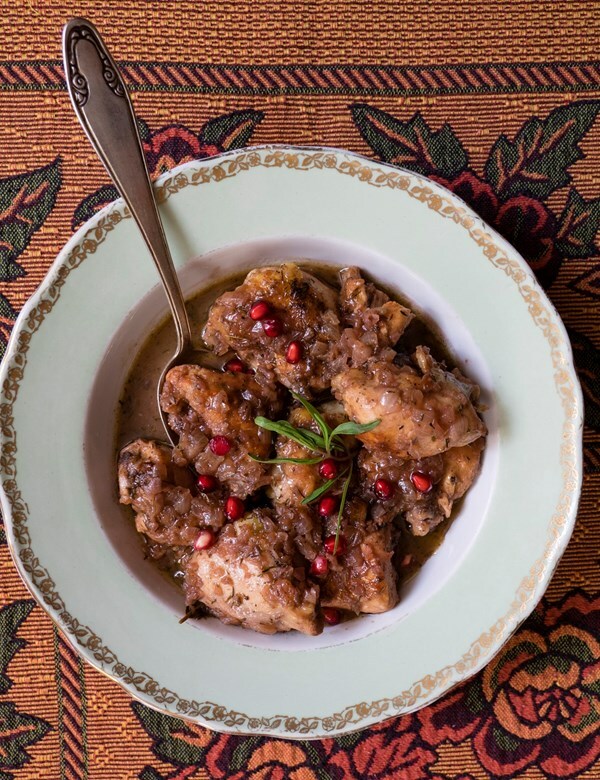 Vegetables blended with walnuts and vibrant herbs, subtly spiced meat stews and home-baked pies like the irresistible cheese-filled khachapuri are served at generous tables all over the country. Georgia is also one of the world's oldest winemaking areas, with wines traditionally made in qvevri: large clay jars buried in the ground.